e-CAM1M_CU10630_MOD is a High Dynamic Range (HDR), Wide Dynamic Range (WDR), custom lens camera module targeted for surveillance and security applications. This HDR camera module based on the OV10633 sensor from OmniVision is e-con’s first Wide Dynamic Range (WDR) camera module that can stream 1280x720p video at 30fps over its 8-bit digital video parallel interface. 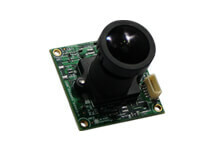 This 1MP WDR/HDR camera module is compatible with almost all of the popular Application Processor families such as TI OMAP, TI Sitara, NXP/Freescale i.MX, Marvell Xscale, Samsung etc and also compatible with Digital Signal/Media Processors such as TI OMAP35x, TI DaVinci DM37x, DaVinci DM3xx etc. The camera module is mounted with an industry-standard S-mount M12P0.5 lens holder allowing our customers to choose a lens of their choice. * - Lens assembly height is excluded. 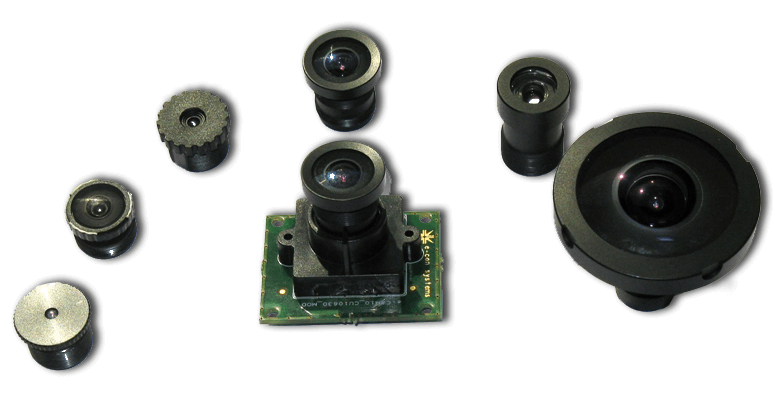 This camera module with 2.7” optical format image sensor is ideally suited for high-end surveillance, automobile lane departure warning applications, IP Cameras, HD CCTV applications, etc. With the Wide Dynamic Range of 100dB and 4.2micron pixel size, this camera module is ideally suited for any environment including low ambient light scenes or high-contrast lighting conditions. 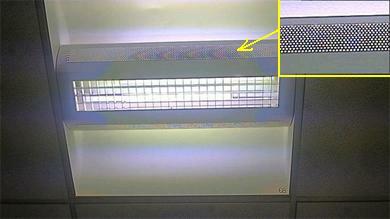 An image of an office roof-lamp fitted with the grid captured using our e-CAM1M_CU10630 camera module is shown below. In such challenging high-contrast environments, the grid pattern or the text written, those are difficult to capture, have been captured pretty well with our camera modules. This WDR capability and low light performance makes it an optimal sensor solution in outdoor environments, particularly automotive applications where the outdoor scenes are normally characterized by high-contrast lighting from various light sources such as Sunlight, headlamps of vehicles, street lamps and advertising boards. 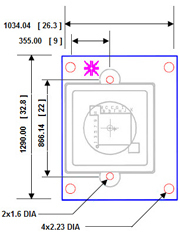 The daughter card (ACC-3730-CU10633CAM) can be bought by customers choosing to evaluate the e-CAM1M_CU10630_MOD camera solution with a direct interface on the Almach - Development Kit for DM3730 Processor. The evaluation kit comes with Sample application for Video Preview and Still Capture (Windows CE 6.0 / WEC7 / WEC2013 / Linux / Android).